Ole Lukkoye - "Doo-Doo-Doo, or Remedy For A Dwarf"
From St. Petersburg, Russia, Ole Lukkoye play what I can only describe as ethnic world psychedelia. The music is characterized by world folk-psychedelia, Middle Eastern rhythms, busy tribal percussion, and chanting, shamanistic vocals. The band consists of Boris Bardash on keyboards, guitars, rubab, green tube, darbuk, percussion, and vocals, Andrey Lavrinenko on bass, rubab, jimbes, and percussion, Frol on bassoon, ocarina, and vargan, Yuri Lukjanchik on jimbees, darbuk, percussion, and vocals, plus several guests. There are seven tracks on the CD ranging from 5-16 minutes. This is their third release. The disc opens with "Wedding Of Deaf Mute". Middle Eastern horns and chanting vocals quickly lead into a heavier rocking section that has a strong ethnic folk-psych feel. The percussion sounds like tablas playing at a maddening pace. At the end of the song the pace decelerates very quickly and leads right into "Fairy Tale", which begins with those distinctly chanting vocals. The trademark percussion slowly builds the tension and we are introduced to some Indian-sounding string instruments. All of a sudden we are pounded by frightening screams and growls that prevail throughout the track. The band has mercy on the listener, though, as the music finally calms and ends with a full minute of the sound of crickets in a field. A much needed mental balm after such jarring intensity. "Tuva-Tuva" is next with 12 minutes of chanting, tribal rhythms, and freaky sounds. A good tune to groove along with but was a bit of a letdown after the excitement of the first two tracks. By the time we reach "Children" we are aware of a distinct Ole Lukkoye sound. In fact, I'm sure I would recognize their music anywhere. "Rainbow" sounds like it may have been recorded live as we hear a crowd cheering. The guitar steps to the forefront for the first time and actually solos a bit. There is also a lot of clanging like chains being thrown around. A very rocking folk-psych tune. "Lega Lazit Dub" and "Mana (Doo-Doo-Doo) are the most cosmic of trips on the CD. At over 15 minutes both have plenty of room to move about. "Lega Lazit Dub" begins very slowly and is different from the other songs. The horn sound is very jazzy and the keyboards spacier than on other tracks. It reminded me a little of David Torn's Cloud About Mercury. The pace remains the same throughout, but various sounds are introduced, the synths explore in spurts, and percussion, though less pervasive than other tracks, is used sparingly to good effect. Very subtle but interesting music that will reward only the most attentive listeners. "Mana" is the last track and seems to bring together all the sounds and styles we've heard so far. Lots of tribal percussion, ethereal vocal chanting, and great horn and wind sounds. Like "Lega Lazit Dub", the music doesn't so much develop as it does carry the listener to a few very select but important points on it's journey. In summary, this is a very strong release that will appeal to psych fans who like a strong world music influence. I'm now wondering what other musical secrets are waiting to be discovered in Russia. AI: Your music seems to be influenced by Middle Eastern and Indian music rhythmically, but in a strong psychedelic atmosphere. How do you describe yourselves? OL: An onlooker is always right - we mean your supervision of our music, but there is one very specific uncountable and uncontrolled addition, which called as inspiration and own spiritual vision and experience. What else? Where we've got it? In Tuva, St.Petersburg, Tibet, being in St.Petersburg , from our previous lives, trips - who knows. But it does work. About psychedelic: we think this word is used too much, soaped and has lost it's real meaning. Our opinion of the rooted ethnic music is that it is real psychedelics. We do play contemporary music, using mix of ancient and new instruments in order to answer the call of indescribable reality. AI: Is your music rooted at all in Russian folk music? OL: It's difficult to say, perhaps, we were born in Russia and do live there. Russian culture is in our blood. May it'll be more correct to define Russian character as looking into space to throw our ugly reality, and from another hand it's a point of Russian mentality to be open for West and East at the same time. We took the definition for our music from one of our German's funs - it's "folklore from nowhere". It's OK.
AI: Tell me about the picture in the CD liner notes of what appears to be full shaman dress and how this fits in with the music's theme. AI: I've never heard of a rubab, darbuk, vargan, or jimbees. What kinds of instruments are these? OL: The darbuk is an Arabian drum, jimbee or jumbe is a drum from Africa (there is no perfect transcription). Rubab is the string instrument from Iran or other Middle Eastern area. Vargan or chomus is a Sibirian version of jewsharp. AI: What does Ole Lukkoye mean? Is it a person's name? OL: Ole Lukkoye is a hero of the fairy tale written by Hans Christian Andersen, famous Danish writer of 19th century. Ole Lukkoye used to bring the dreams for the children, as a Sandman of Morphey. At the last page of this tale he told the story about his elder brother, who's name is Death. 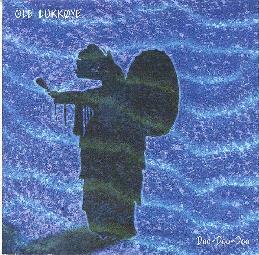 So, "Ole Lukkoye" is a soft name of the group - "Death". AI: The CD has an interesting title: "Doo-Doo-Doo or Remedy For A Dwarf". Does the music on the CD tell a story? Where did this title come from? OL: Of course, the "Doo-Doo-Doo" music tells a story, but it's absolutely not necessary to explain everything, it's a sort of the magic spiritual exercises and continues the previous our creations. The decision of who is Dwarf, what is the Remedy belongs to audience. AI: Do you get to play live concerts much? And have you performed outside of Russia? 1996 - Finland, Tuva, Germany, Hungary. AI: Was the song "Rainbow" recorded live? OL: No, of course, it's just a dramatic decision of our creative aims. AI: What kind of responses do you get from audiences to your music? OL: We are heros of the nation. AI: Tell me about the music "scene" in Russia. Is psychedelic music popular? OL: At the financial catastrophe ten-year period only commercial pop-groups can survive (do you know , for example, our "Tina Turner" - Alla Pugatcheva? or the group "Na-Na" ? - they are rich as "Rolling Stones" and more popular in Russia). AI: What is in Ole Lukkoye's future? Click here to visit an informative Ole Lukkoye web site.